I know that mushrooms are a bit like marmite, some people love the taste of them (like me) and others see them as the food of the devil. I guess if you fall into the latter category then you are likely not reading this recipe, so welcome fellow mushroom lover! 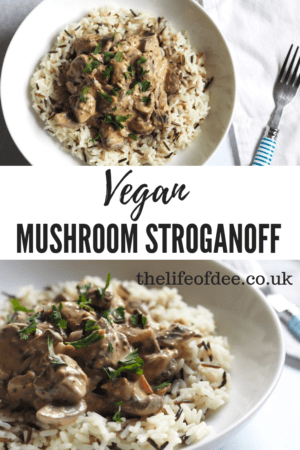 I used to love a Stroganoff but since I’m dairy free now I have missed them. 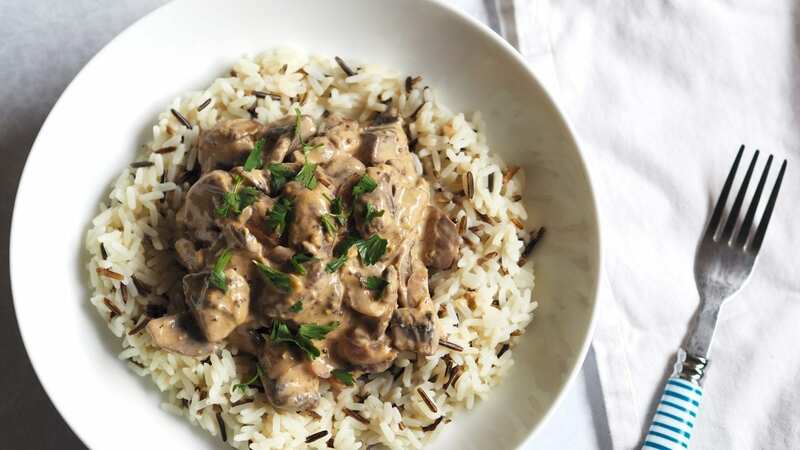 So here is my Vegan Mushroom Stroganoff version. I am all about making things easy for myself and the thought of making a creamy cashew sauce or the like fills me with fear so when I saw a tub of dairy free creme fraiche I instantly thought yaaaaasss! Now this is where my intelligence ended and baby brain began, I bought a tub of Oatly. Oats (unless gluten free) contain gluten. Yes. I was that stupid! Searching on their website to see if they used gluten free oats in their production (unlikely), I found that that their products do contain gluten but are classed as very low gluten. However if you live in the US then you are lucky as their products are gluten free. I decided to go ahead and use it anyway and I was actually fine with it although I know for some people this might not be the case if you are gluten intolerant. 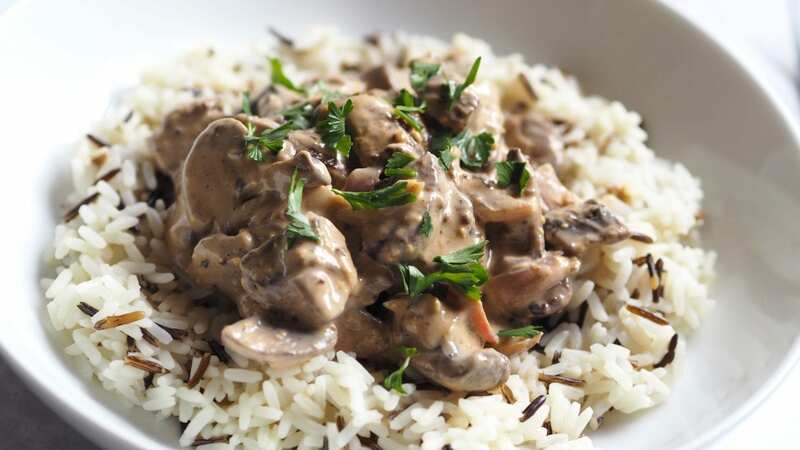 So here is my easy recipe for a Vegan Mushroom Stroganoff. 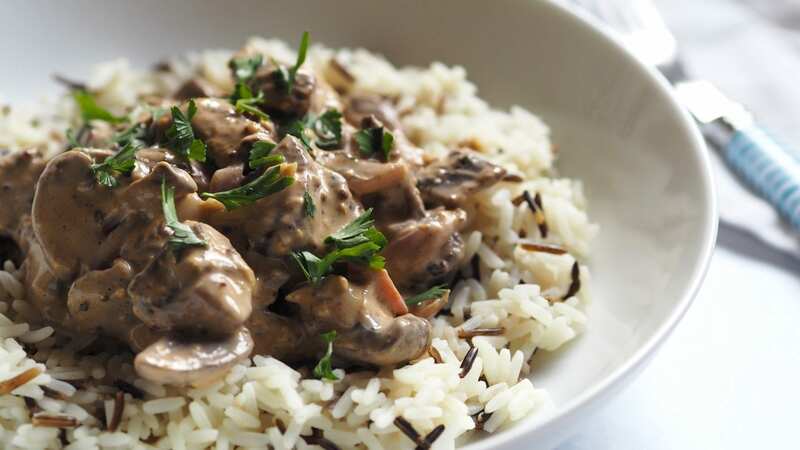 Cut your mushrooms into slices or chunks depending on size and add to frying pan along with the sliced onion and garlic. Fry for around 7-8 minutes on a medium heat until onions have softened. Remove from heat and stir in the creme fraiche, mustard, paprika, salt and pepper. Place back on heat briefly to warm up the sauce. 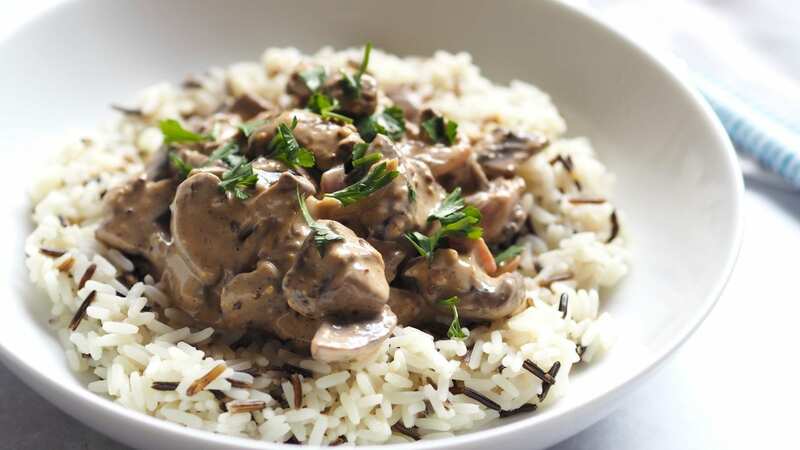 Serve with boiled wild rice or pasta, add chopped parsley to garnish. "30 Summer Blog Post Ideas"